Vendors and suppliers ranging from large Fortune 100 companies to small mom-and-pop companies are coming together with purchasing agents and key executives from just about every cruise line at the 33rd annual Marine Hotel Association (MHA) event in Orlando, Florida this week. Most vendors are in the food and beverage and hotel space, with the MHA being the only venue that serves the food and beverage and hotel side of the industry. 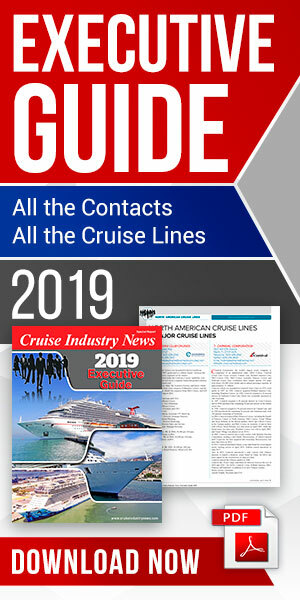 In addition are other major cruise ship suppliers, combining with the rest of the vendor group for what is considered a bright outlook with record cruise ship orderbook. The event program, running from April 8-10, includes a similarly-sized booth for exhibitors, all entertainment and breakfasts and dinners, and all for a reasonable price. The MHA also prides itself on its charitable efforts, with an ongoing scholarship program. Continuing the trend from 2017, attendance was well up at a packed and vibrant opening cocktail event on Sunday night, April 8, in Orlando.